While we’re on the subject of sea turtles, here’s a photo of baby turtles at Monterrico, on Guatemala’s Pacific coast, from guillermogg’s photostream. 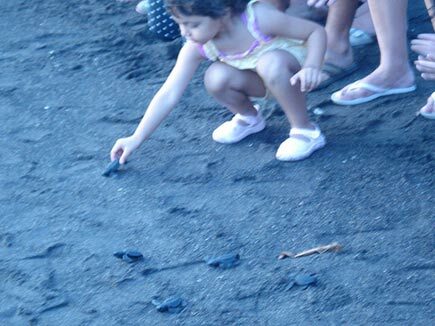 A behind the scenes look at volunteer-driven sea turtle conservation at the La Barrona in Guatemala. 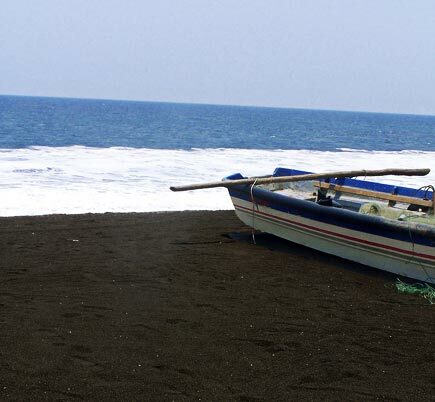 Guatemala’s Pacific coast has some fine black sand beaches, such as this one at Monterrico. 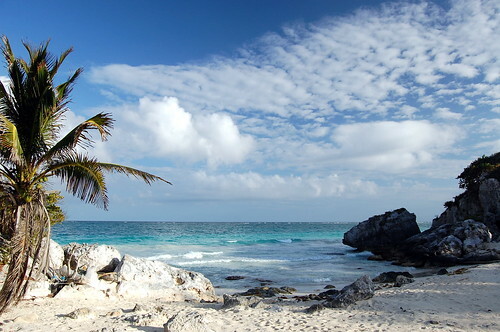 The area is not very developed for tourism, which has its advantages as well as some disadvantages. Get there by going to La Avellana and then taking a half-hour boat ride through the mangroves to the beach. Shown: detail of a photo from Walter Rodriguez’s photostream. 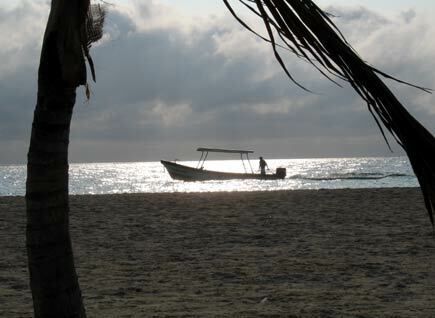 Like dusk at Puerto Morelos.